Yet the lead character of The Bellini Madonna, Thomas Joseph Lynch, is counting on the fact that the mysterious work of art he so fanatically desires still exists several hundred years after it was painted. A rather high hope, especially when the United States Federal Bureau of Investigation says art theft constitutes as much as an $8 billion per annum industry and the Bureau has even assembled a thirteen-member crack team to staff their highly specialized Art Theft Program. What's more, there are reported to be over 160,000 art pieces listed on the international Art Loss Register. Stolen items do not have to be small and easily portable like the tiny, postcard-sized portrait of Lucien Freud by Francis Bacon that went missing from the Neue Nationalgalerie in Berlin in 1988. 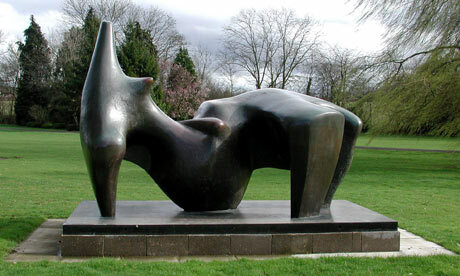 Occasionally a work of art such as Henry Moore's 2-meter-high, two-ton bronze "Reclining Figure" disappears as if by the hand of magician David Copperfield. Authorities feared that the $5.2 million sculpture was eventually melted down and sold for a meager $2,500 as a lump of raw bronze. More often artwork is selected to be stolen because it will garner the most cold, hard cash. When Leonardo Da Vinci's Mona Lisa was stolen from the Louvre in 1911, it was supposedly for love of country. Although Pablo Picasso had once been a "person of interest" in the theft, the man eventually arrested for the crime was an Italian laborer who worked at the Louvre and wished to return La Giaconda to its country of origin. However, according to R.A. Scotti, author of the recently published Vanished Smile: The Mysterious Theft of Mona Lisa, the mystery of the beauty's almost two-year exile is far from being solved. Almost a hundred years later a rumor still buzzes about a well-organized team absconded with the beloved Renaissance portrait in order to create forgeries. Of course, this story is unsubstantiated and likely to stay so since all parties are deceased. Finally, many works of art simply disappear without the aid of foul play: lost in someone's attic, crammed behind a wall in a room addition, or owned by a person who has no idea of the object's intrinsic value. In 2006 two paintings, part of an altarpiece painted by Renaissance artist Fra Angelico, were found behind a door in an apartment in Oxford, England. And everyone has heard of the occasional tag sale painting that turns out to be worth millions. One can always hope! This "beyond the book article" relates to The Bellini Madonna. It originally ran in June 2009 and has been updated for the May 2010 paperback edition.